Change your perspective with the Yuneec Q500 aerial photography and videography (APV) system. The system arrives 100% factory-assembled and test flown including the 3-axis CGO2-GB that records full HD 1080p video and takes 12 mega-pixel still photos. And the built-in digital video downlink delivers streaming video that can be viewed right on the screen of the included ST10 transmitter and Personal Ground Station. With the Q500 it’s never been easier to capture amazing photographs and video footage for a wide variety of uses. 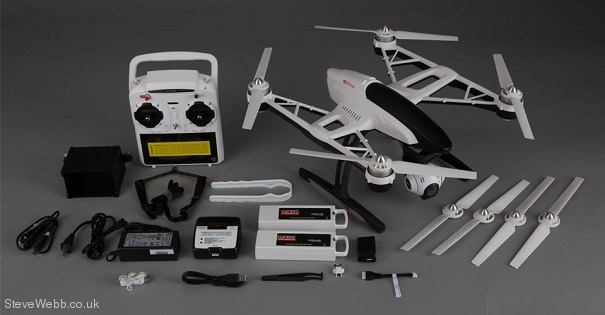 The Q500 arrives factory-assembled and ready-to-fly right out of the box including the incredible ST10 transmitter and Personal Ground Station, a factory-installed receiver and flight controller, a 5400 mAh 3S 11.1 V LiPo battery, a DC balancing charger and an AC adapter. That means there’s nothing extra to buy and you can be ready to fly just minutes after opening the box! The ST10 is a 10-channel 2.4GHz RC transmitter that also includes built-in hardware and functionality for a 5.8GHz video downlink and First-Person View (FPV). With the convenient and easy-to-use ST10 you’ll no longer need separate components to view real-time video and telemetry data during flight. 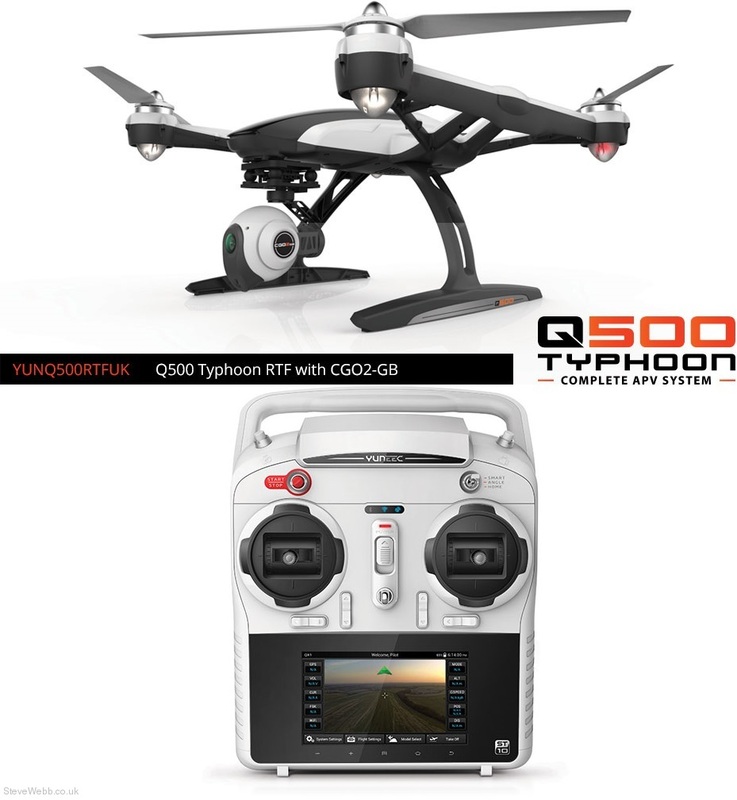 The CGO2 GB is an innovative combination of a 3-axis gimbal, camera and digital video downlink. 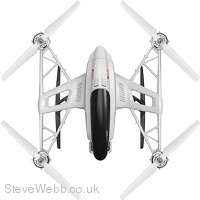 Its advanced camera records full HD (60, 50, or 48 fps) video and takes 12 mega-pixel still photos while the brushless motor driven and self-stabilizing gimbal makes it possible to capture amazing photographs and video footage for a variety of uses.